These two martyrs were brothers, and lived in Rome many years, mutually encouraging each other in the practice of all good works. They seemed to possess nothing but gave whatever they had to the poor, and often spent both nights and days with the confessors of Christ in their dungeons, or at the places of their torments and execution. Some they encouraged to perseverance, others who had fallen they raised up again, and they made themselves the servants of all in Christ that all might attain to salvation through Him. 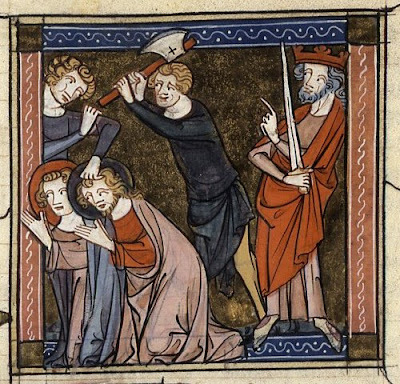 Though their zeal was most remarkable, they had escaped the dangers of many bloody persecutions, and were grown old in the heroic exercises of virtue, when it pleased God to crown their labors with a glorious martyrdom. The pagans raised so great an outcry against them, that by a joint order of Diocletian and Maximian Herculius they were both apprehended and put in chains. This must have happened in 286, soon after Maximian was associated in the empire, for the two emperors never seem to have met together in Rome after that year. These princes commanded them to be inhumanly scourged, and then sent them to Promotus at Nomentum, a town twelve miles from Rome, to be further chastised, as avowed enemies to the gods. This judge caused them to be cruelly tortured, first both together, afterwards separate from each other; and sought by various arts to cheat them into compliance, as by telling Primus that Felician had offered sacrifice. But the grace of God strengthened them, and they were at length both beheaded on the 9th of June. Primus was eighty years old at the time of his death. Their bodies were thrown into the fields; but taken up by the Christians, and buried at the fourteenth milestone of the Via Nomentana (near Nomentum, now Mentana). They appear to be the first martyrs of whom it is recorded that their bodies were subsequently reburied within the walls of Rome. In 648 Pope Theodore I translated the bones of the two saints (together with the remains of his father) to the Church of Santo Stefano Rotondo, under an altar erected in their honor, where they remain (now the Chapel of Saints Primo e Feliciano). 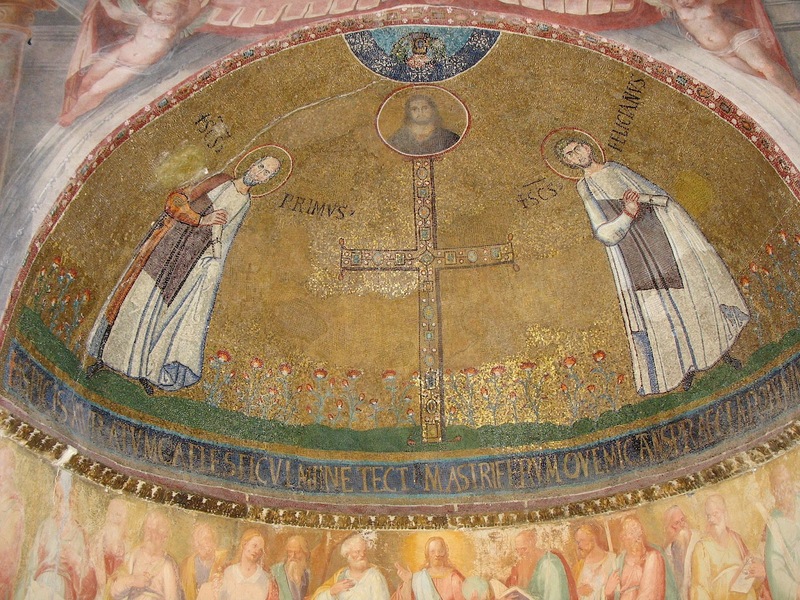 The Chapel of Saints Primo e Feliciano contains mosaics from the 7th century. The chapel was built by Pope Theodore I. 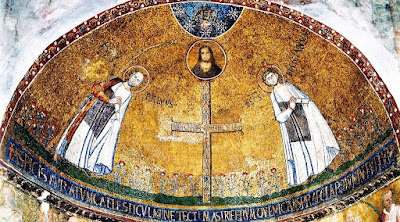 One mosaic shows the Holy Martyrs Primus and Felician flanking a crux gemmata (jeweled cross).